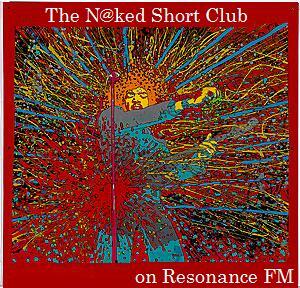 Make sure you listen out for the Monday, January 30th edition of the twice Sony Awards-nominated N@ked Short Club on Resonance FM [104.4FM within London/online worldwide on the internet here]: 1 hour of loose talk about hedge funds and the state of the world, plus sweet poetry and heady music...No promotional agenda, no commercial intent...just Ponzi Bier and Pure Alpha both on tap. Host, Dr. Stu will help callers to the Emergency Hedge Fund Helpline (1-800-DISTRESSED) to re-evaluate their Inner Mark to Market, with expert guests: Dr. Peter West- PAM Global; Adam Sorab- CQS; Richard Watkins- Liability Solutions; James Parker- Aravis; Simon Kerr- Enhance Consulting/the Simon Kerr Blog; Sam Jones- The Financial Times; Amelia Colvin- Gerson Lehrman; plus by Tantric Videolink from the US, Mike Gasior- AFS. The show is broadcast between 9-10pm/ 21.00-22.00 hrs., London time.